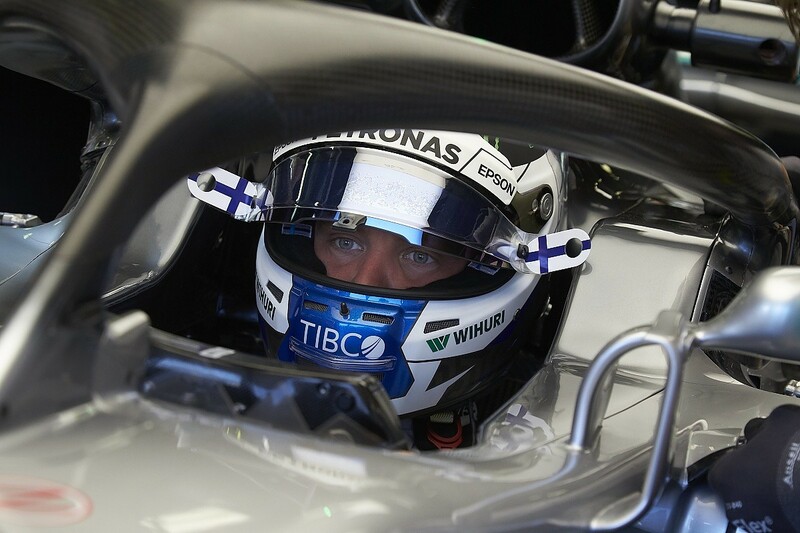 Valtteri Bottas finished 2018 fifth in the Formula 1 points and with no race victories, and called it his "worst season so far". Could a change of attitude for next year help him improve and make himself more valuable to Mercedes or a rival team? 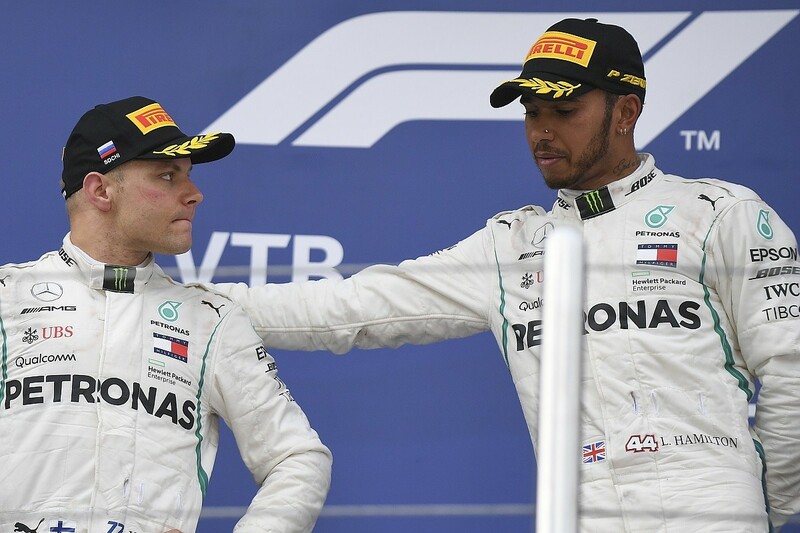 Valtteri Bottas didn't like being referred to as Lewis Hamilton's "sensational wingman" by Mercedes team boss Toto Wolff after this year's Hungarian Grand Prix. No racing driver would, and his response revealed just how difficult it is to accept taking one of the most difficult jobs in motorsport. "Wingman hurts" was Bottas's response. It was an innocent comment from Wolff that reflected the race situation at the Hungaroring, where Bottas had held second place behind his team-mate before a painful slump to fifth in the final six laps came about due to a combination of tyre troubles and on-track clashes, rather than a preordained status within the team. 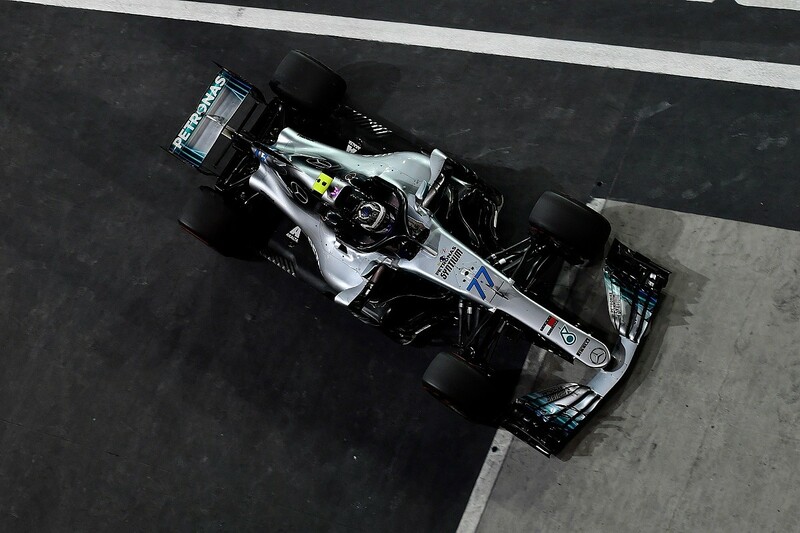 But Bottas did become the de facto Mercedes number two on the basis of performance, and fell short not only of his own expectations but even what you'd hope for from a support act in terms of final results. To improve on that next year, and have a shot at a longer-term Mercedes future, he needs to accept that he is Hamilton's wingman to allow him to get the best from himself. When it comes to judging what a driver is really thinking, it's inevitable you can only guess, but Bottas came into 2018 considering himself a potential Hamilton-beater. He can't carry that approach into 2019. This might sound counter-intuitive. If you accept defeat before battle, surely you've beaten yourself? Can a racing driver who has pushed himself to reach this level really accept this status and still perform? What's more, surely you will extract your best performance by trying to lead the way? After all, to win the championship, in very basic terms you need to be as fast as possible. To be the best number two, you need to do a similar thing - and if Bottas isn't going to be as quick as Hamilton regardless, what's the difference? But elite sport is a psychological game and the human mind is not straightforward. It's all about Bottas getting into the correct headspace to extract the most from himself. He ended the campaign, by Finnish standards, crushed by the whole experience. Bottas started the season with designs on fighting for the world championship, not just as part of a push for the constructors' crown. Perhaps that's why he was beating himself up so much during the final weekend of the season in Abu Dhabi, particularly after sliding to fifth in the championship behind Max Verstappen. "Last year was quite different to this one," said Bottas. "It was my first year with the team, my first year against Lewis. This time last year, overall I was disappointed. I didn't meet my targets but now when I look back at least I won a few races. So now I am even more disappointed. I think it is the worst season so far." It's perhaps not a surprise that Bottas was so hard on himself. But is the fundamental framework on which he's basing that criticism realistic? After all, his team-mate is Hamilton. For Bottas to win the title he needs to beat Hamilton. And given the form of the five-time world champion, this is close to impossible right now. It's conceivable a driver might get on level terms, but even to get to the level Bottas is against Hamilton is a good effort. Remember, Hamilton is justifiably regarded as one of F1's all-time great qualifiers - he's statistically the greatest - and in dry conditions Bottas's deficit to him this year has been, on average, only 0.153 seconds. That means qualifying is a strength, considering the level of the bar Hamilton has set. He was particularly strong earlier in the season, when the car was difficult to get on top of, so you can argue he is closer to Hamilton when things aren't going well. He's capable at getting the best out of an understeering car, and at smooth, low-grip tracks like Sochi he excels. In fact, he often stands out in FP1 when the track is at its most slippery - if there was a 'green-track world championship' then Bottas would probably win it. But there are times when he struggles compared to Hamilton. He's perhaps not as comfortable with an oversteery car, and at some quicker circuits there are instances when he struggles to rotate the car as effectively as Hamilton. But then again, Hamilton has an otherworldly ability to bend the car to his will dynamically, so there's no shame in not quite being at the same level. The question is, could he get closer with a different mental approach? Bottas's race performances have been a little less robust, and what's clear is he's less adept at balancing the many challenges of managing the rear tyres than Hamilton. The Pirelli tyres can be a battle, which is what's played a part in races getting away from him. The most recent example is Abu Dhabi, where he slid from second to fifth. You might argue that explains what is probably the most alarming statistic from Bottas's season - the massive zero in the wins column. Racing drivers are built to win, so that must hurt him even more than the qualifying position. Here is where things could have gone differently. He might have won in Bahrain had the Mercedes pitwall realised more quickly that Sebastian Vettel was extending his second stint to go to the end rather than pitting again. Without an ill-timed safety car in China that allowed Daniel Ricciardo to change tyres and charge through from sixth to first, Bottas might have won there having brilliantly undercut his way past Vettel to lead. Then there was Baku, where Bottas retired with a tyre blowout while leading late on. Had all three of those races gone to plan, Bottas might have led the championship with three wins from the first four races of the year. Who knows what might have changed about Bottas's season had that happened? His confidence would have grown, maybe Hamilton's might have slipped. But what really happened is that Hamilton then bossed the following Spanish Grand Prix and never looked back. Inevitably, the most famous lost win from Bottas's season was at Sochi. 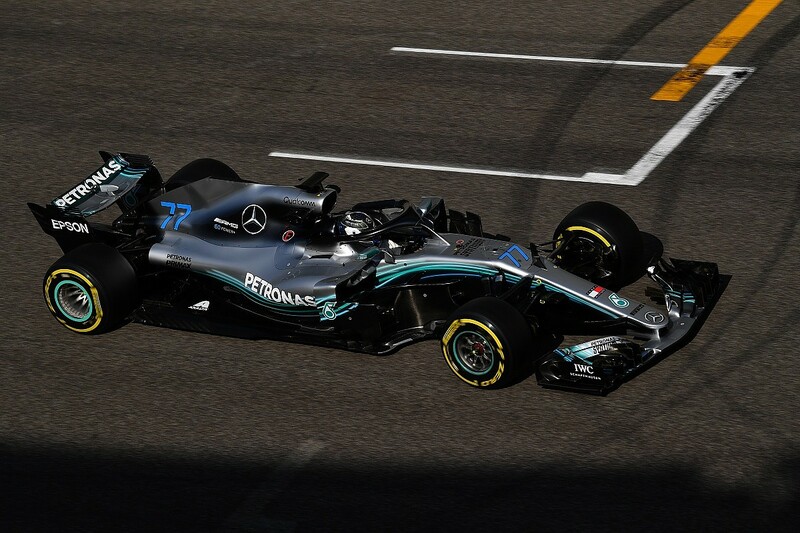 It was entirely understandable that Mercedes opted to impose team orders, which forced Bottas to hand the lead, and therefore victory, to Hamilton. Mercedes didn't handle this as well as it should, because this possibility could have been raised pre-race. But the decision was right. If Bottas were to go into next season focused not on beating Hamilton, but on getting closer to him, might that change things? There's no shame in not being quite as good as one of the greatest of all time, but let's say the objective in qualifying was to halve the pace gap. That would mean even better qualifying performances. He was on the front row only nine times in 2018, with two pole positions, so before even thinking about beating Hamilton he must consistently be right with him. Close the gap, and he's more often than not going to start alongside F1's qualifying superstar. The races are a bigger concern, and Bottas must learn from Hamilton's ability to manage a grand prix. This is not often talked about as a strength, and at times earlier in his career it wasn't always Hamilton's strongest suit, but now he's formidable. Bottas had a reputation as a good tyre manager in his Williams days, but up against one of the best he's half a step behind. Had Mercedes deferred its driver decision to the end of the season, it's conceivable Bottas might have been dropped and replaced by Esteban Ocon. Starting next season, with Ocon breathing down his neck as Mercedes reserve, Bottas is once again under pressure to justify his place. That'll be doubly difficult because, in sport, you are never better than when you are out of the team, so Ocon can't do anything to harm his reputation. But even if Bottas does get replaced, if he can become the perfect number two it will help his cause with finding a new employer. Let's say he's consistently finishing just behind Hamilton, and less than a tenth off in qualifying. Well, if you can't get Lewis Hamilton, why not sign the guy who is almost as good and has a wealth of experience from the best team in F1? Eddie Irvine and Rubens Barrichello both benefited from this when they converted number-two roles at Ferrari to Michael Schumacher into lucrative seats with Jaguar and Honda respectively. Barrichello's move even led to a title shot with Brawn in 2009. Doing all of this is easier said than done. Bottas's form has suffered during the past two seasons when it's become clear he's perceived as the number-two driver, although we must add the caveat that this also coincided with Hamilton's performances hitting tremendous heights. You could therefore argue if he goes into the season with that mindset, he'll suffer all year. But provided he's got the ability to accept it and still dig deep to deliver his best - and it's a demanding and difficult task for any athlete to compete just for second place - he perhaps could avoid it. So, for Bottas, focusing not on beating Hamilton, but on getting closer, has many potential upsides. He won't put undue pressure on himself, will be less inclined to force the issue and won't beat himself up if he's losing to a driver who is one of the best in F1 history. To win the war, you need to know when discretion is the better part of valour. By readjusting his objectives, Bottas might unlock the next level of performance in himself and be at ease with the level he's at. And in doing so, he could make himself a more valuable commodity both to Mercedes or, should he not get a new deal for 2020, a rival team. The question is, is he psychologically robust enough to accept that status and thrive?